Talk about a woman breaking down barriers! First woman to officiate a college football bowl game, first woman to work as an official in a Big Ten stadium, first woman to be an official in the NFL and, as of last weekend, the first woman to officiate an NFL playoff game — Sarah Thomas is the ultimate GenderAvenger. 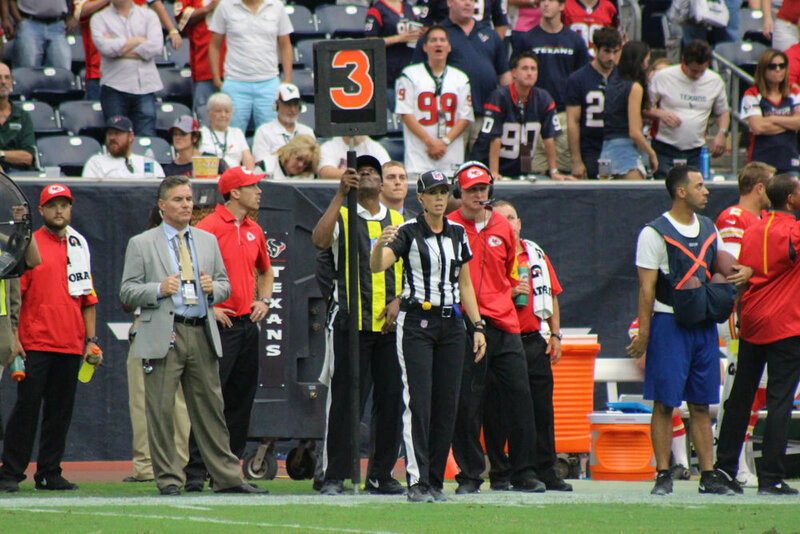 She even sported the new title “down judge”, a change from “head linesman” in an equality effort started over three years ago by the NFL’s senior director of officiating after he saw another woman wearing the HL for Head Linesman on her uniform. We can’t wait to see what first Sarah Thomas achieves next.